Planning ahead is what one does to improve their productivity, and those who love productivity and use Google services are no longer strange to Google Calender. 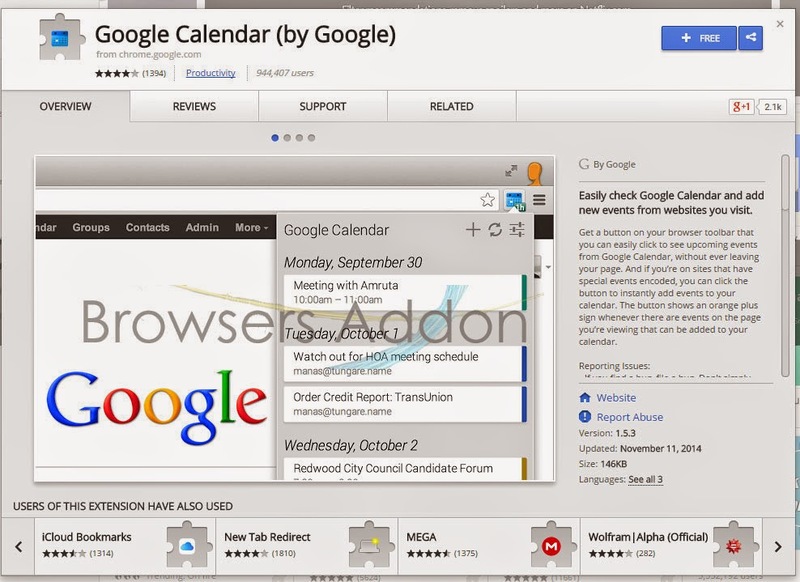 In this post, we shall integrate Google Calender into Google Chrome, helps you keep updated with the upcoming events. 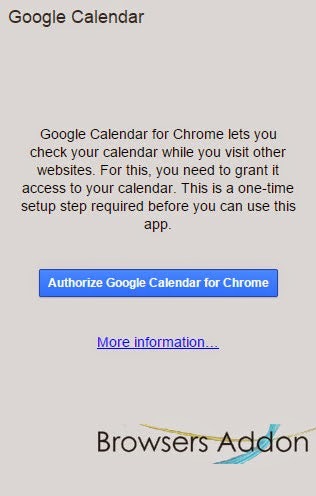 Step 1: Go to Chrome Webstore and add Google Calender. 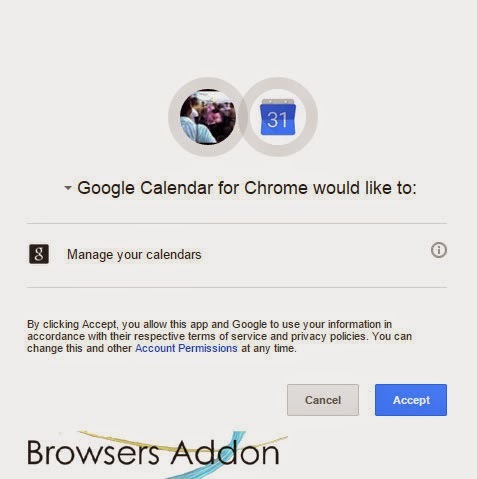 on successful installation, you will notice calender logo to the top right side of the browser. Step 3: Give permission to access to your Google account. 4. 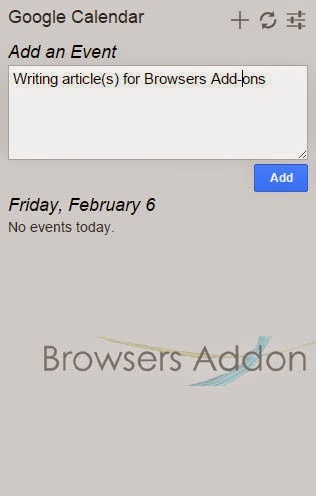 Click on the “+” icon to add an event, click on the curved arrows to sync. 5. 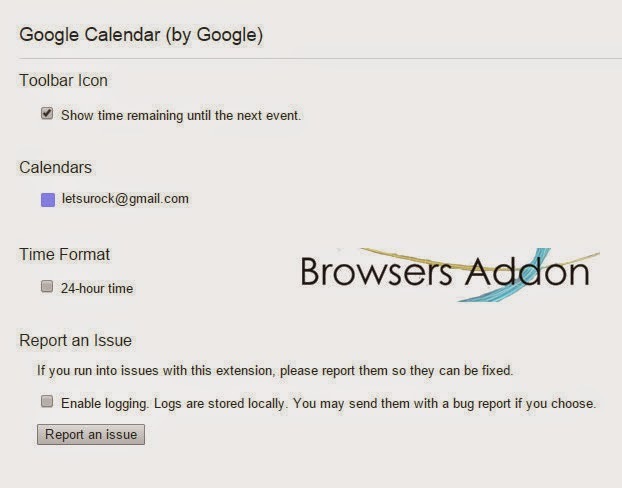 To access Calender settings, click on abacus like looking icon. 6. You can even add events directly from the web pages like twitter, facebook by highlight the event and right click the mouse button. 7. 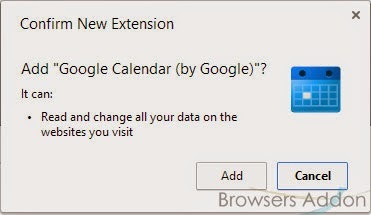 To remove, goto extension manager and search for Google Calender tab and click on the dustbin icon. Next story Block Notorious Pop-Ups From Your Favorite Site With Poper Blocker For Chrome. Previous story Mozilla Gyan for Privacy and Tips.